Tracy German is an Aboriginal filmmaker of the Mohawk Nation and is the lead creative force behind the 13×30 min. documentary TV series Wild Archaeology. She has spent the last eight years researching, building trust and relationships with the various communities across this country to be able to create the first television series in the world that tells the deep history of the indigenous inhabitation of North American continent from an indigenous perspective. It is also the first series in the world to be versioned to the Dakota language. Tracy German holds an M.F.A. in film production from York University and a Media Arts diploma from Sheridan College. Her innovative career spans over twenty years of artistic creation. 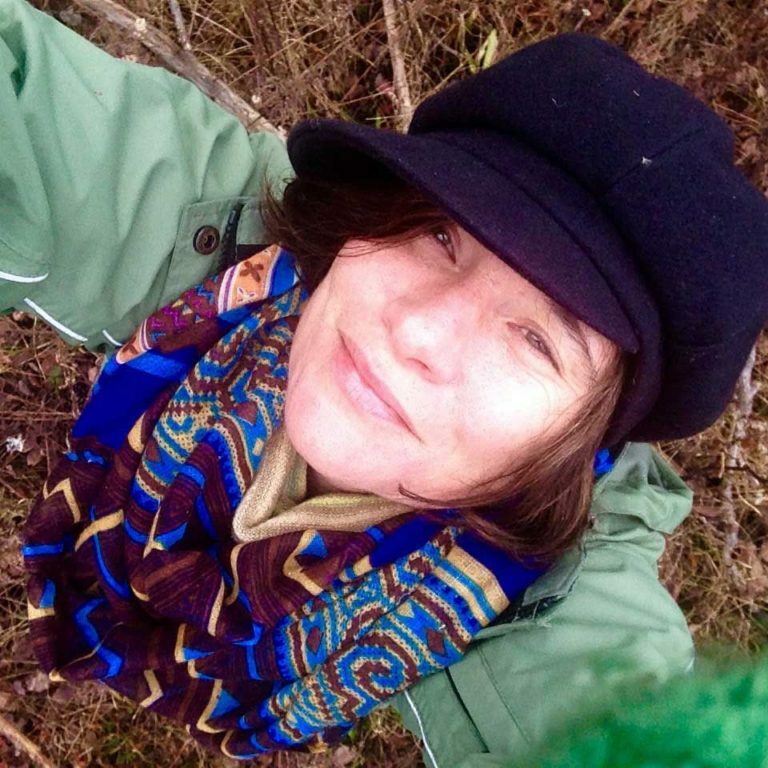 Her award winning documentaries, experimental films, and installation projects have screened internationally, locally including cable television broadcasts. 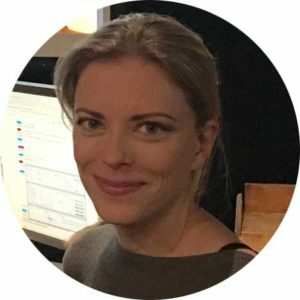 Raised on a rural horse farm in central Ontario Canada, Tracy currently teaches part-time at Sheridan College in the Media Fundamentals and the Bachelor of Film and Television (BFTV) programs. Mohawk Oyate etanhan Tracy German he ikce wicasta owanyanka pi wasteste ota kage. Winyan kin itancan icikage 13×30 min. Hehanyan owanyankapi wan, Makoce Owanuspe Ikceke kage. Wana de omaka sakonwin hehanyan wicota toktokca unci makoce ataya tuwewe kici wohdake. Koka wayaka pi tokaha makazita ohomini ehana tokedked wicoh’an oninya unpi hed tanyan wayaka pi kte cinke. Ikce wicasta naka waunsida. Dakod wicoiye etanhan ed wayaka pi otanin. Sheridan College etanhan wowapi k’upi. Owanyankapi wasteste wayawa tipi ed, York. Dena Tracy German owasina wicakahnige pi. Omaka wikcemna num wicoh’an ic’ic’u. Taku incun kin hena nina wayupike. Koka wayaka pi qa owanyankipi cistina kin hena nakun pazo pi. Sunka Wakan otipi hed icage Ontario, Canada cokaya ed. Tracy dehan wayawa wicakiye Sheridan College ed. Media Fundamentals qa Bachelor of Film qa Television BFTV Owanyanka pi. 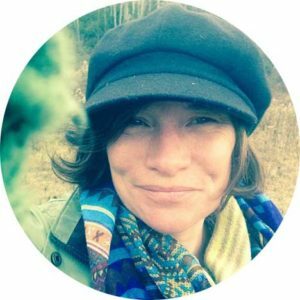 Producer/Writer Karen Hanson brings a wide range of skills to Wild Archaeology with her diverse background in the Canadian cultural industry. She worked in book publishing for a number of years, most recently as an acquisitions editor for HarperCollins Canada, where she developed a list of critically acclaimed fiction and non-fiction titles that have sold internationally and been optioned for the screen. Within the film business, Karen is currently producing a 1-hour TV and feature-length documentary called Four Eyes, an international co-production with AVRO television in the Netherlands. She also co-wrote, directed and produced the award-winning Three Lives of Kate, which screened at over 35 festivals worldwide and aired on CBC and HBO. She recently completed Still Moves, a series of thematically linked films including An Even Briefer History of Time, which has shown at festivals worldwide and star, dust, which recently won a Platinum Remi at the 34th WorldFest Houston. 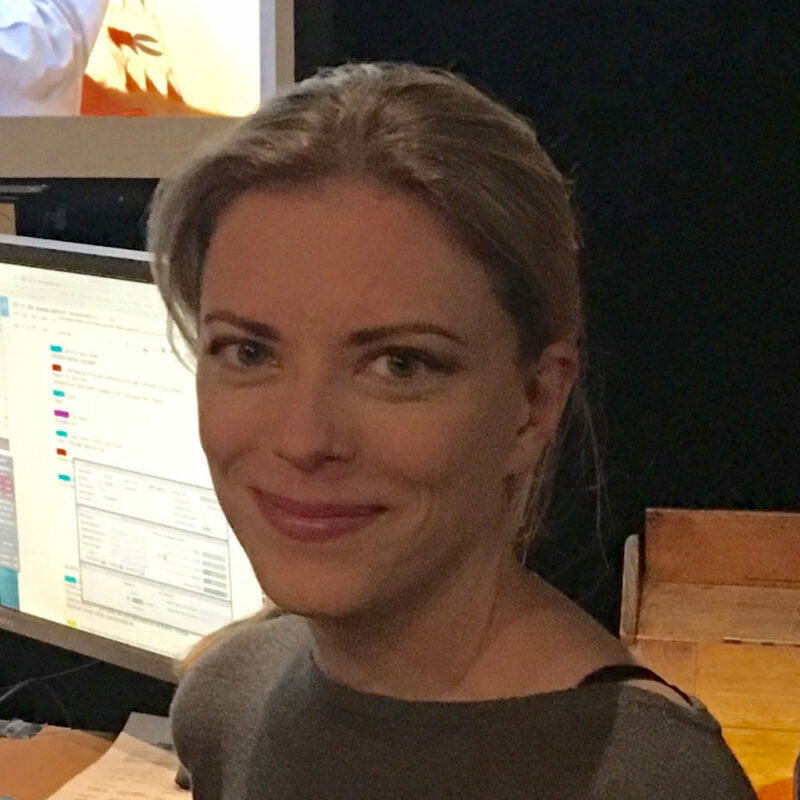 A former instructor in the Media Fundamentals program at Sheridan College, Karen has also worked as a script analyst for The Harold Greenberg Fund, Telefilm Canada and The Canadian Film Centre. Taku ota ija Makoce Owaunspe Ikceka ed okahnige, Unci Makoce ed taku ota wicakic’un owicakiye. Omaka tohanyan wowapi yuha waecun. Decaked wowapi ed yawa qa wowapi piye qa HarperCollins Canada, ed wowapi toktokce kage hehan koka wayaka pi makazita ohomini akan pazo pi. Koka wayaka pi etanhan, Karen dehan Owanyanka pi wanji Four Eyes kagapi owicakiya. Makoce tokca Netherlands hed AVRO Koka Wayaka pi owicakiye. Three Lives of Kate, hed nakun wowipi kaga pi hed nakun owicakiye. Wikcemna yamni som zapta ape makazita ohomini qa CBC, HBO kici, hed wayaka pi. Dehetuyeda Still Moves owanyankapi yustan. An Even Briefer History of Time he nakun wicoh’an ic’ic’u. Makoce ataya owanyanka pi hena wayaka pi. Stardust owanyaka pi wan 34th WorldFest Houston hed Platimum Remi Ohiye. Sheridan College etanhan, Media Fundamentals Wicoh’an Karen he wayawa wicakiye qa wowapi tuwewe kaga pi kin hena akab yawa. Nakun Harold Greenburg Fund, Telefilm Canada qa Canadian Film Centre yuha waecun. 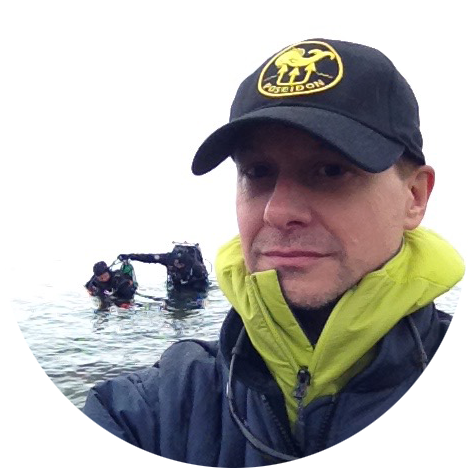 Ian Thompson is currently a director and producer for Wild Archaeology, a 13-part series for APTN. As a filmmaker he has made a number of documentary and dramatic works for television including Pushing the Line: Art Without Reservations (BRAVO! ), The Boor (Global), and Three Lives of Kate (CBC, HBO). He also produced Small Places, Small Homes and directed the award-winning documentary Fundamental Freedoms, both for OMNI Television. In addition, Ian has directed and produced documentaries and permanent installations for the Royal Ontario Museum. A full-time professor in the Bachelor of Film and TV at Sheridan College, he teaches directing, business and production. Ian received his B.A. (Hon) in International Relations and European and Russian History at the University of Toronto and earned an M.F.A. in Film Production at York University. 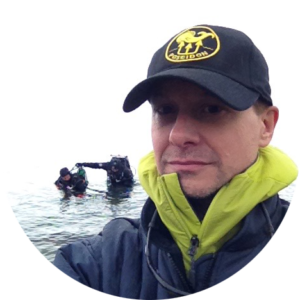 He is also a NAUI Scuba Instructor with a specialization in underwater cinematography. Wicasta Ian Thompson is he makoce owanunspe ikceke ed ahpe ic’iye. APTN etahan owanyanka pi pazopi kin he ija hed ahpeic’iye. Owanyanka pi ptepteceda hehan owanyanka pi oteheke koka owanyanka pi ohna icun. Pushing the Line: Art Without Reservations (BRAVO), nakun hed ed waecun. The Boor (Global) qa Three Lives of Kate (CBC), (HBO) ija hed wicoh’an ahpeic’iye. Small Places, Small Homes nakun napin wowapi kage. Owanyanka pteceda wan wanji nakun, Fundamental Freedoms OMNI Television etanhan hena yustan. Royal Ontario Museum hed cajeyata kin ic’i kage. Ian he Wounspe Sheridan College ed Bachelor of Film and TV tuwewe unspewicakiye. Tuktekded Ian he unspeicic’iciye. BA, (Hon) icu qa mini tanka akasam qa Iyasica wiconi pi kin hed Toronto Wayawa Tipi qa M.F.A. Owanyanka pi York Wayawa Tipi hed nakun yustan. NAUI Niwe Owanuspe Wicasta hed nakun Mini tan Ohna hed ite icu pi tokedked skan pi kin hena wayupike hce. Iteicupi koka oma ecetanhan nakun iwohdakapi kte ye.